The Office range is tested and certified in accordance with NT Fire 017 – 120 Paper, which means that your paper documents are protected against fire for two hours. Thanks to its insulated walls, the cabinet’s internal temperature will not rise above 177°C. 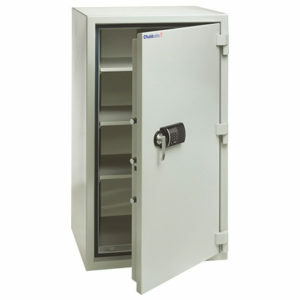 • Fire-resistant safe designed to protect documents from fire and theft. • Ideal for offices and small businesses. • Tested and certified in accordance with NT Fire 017-120 Paper. Offering 120 minutes fire protection. • Recommended cash rating of £l,500. 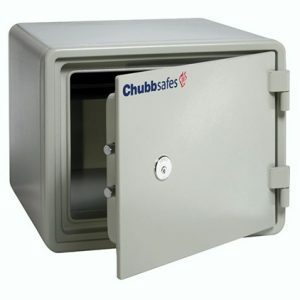 • Secured by a user-friendly programmable electronic lock. • Supplied with removable shelves as standard. 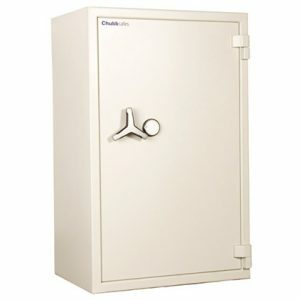 The Chubbsafes Archive Cabinet range is designed to protect documents such as contracts, reports, examination papers and invoices with a recommended cash rating of £1000. 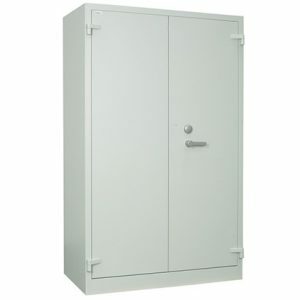 • Archive Cabinet has a steel, double-wall construction insulated with the special fire-resistant barrier material. 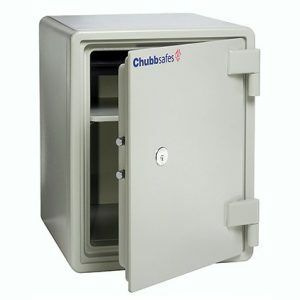 • Secured by three-way bolt, locking at the top, bottom and side of the door. 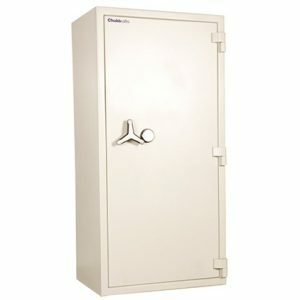 • Class A (EN 1300) key lock fitted as standard. • A wide range of flexible fittings available to suit all types of storage requirements, including removable shelves, extendable file frames for A4 or Folio files and a lockable compartment. • Anchor points in the base allow the cabinet to be fixed to the floor. 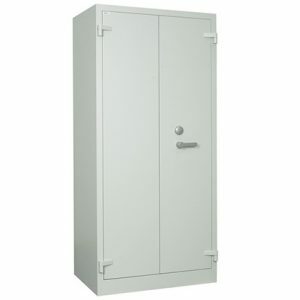 • All cabinets have a light-grey, powder coated finish, suitable for any office space. 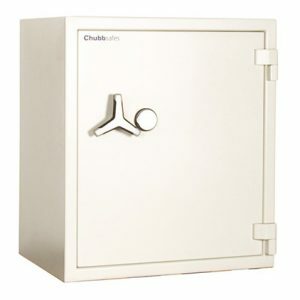 The Chubb safes Archive Cabinet range is designed to protect documents such as contracts, reports, examination papers and invoices with a recommended cash rating of £1000. Supplied with 2 shelves & 1 tray. 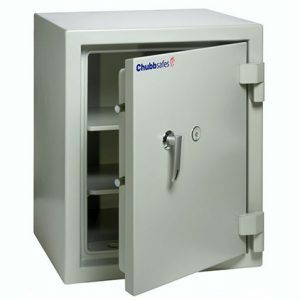 The Chubbsafes Record Protection Cabinet Size 12-2 provides quality document protection using high specification materials. 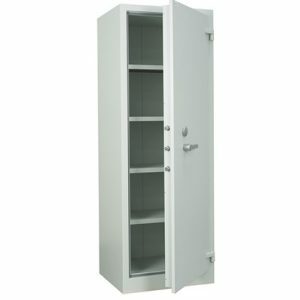 It comes with 1 shelf and 2 keys as standard, but can be further customised with extra shelves, pull-out platforms, filing rails and lockable cupboards. 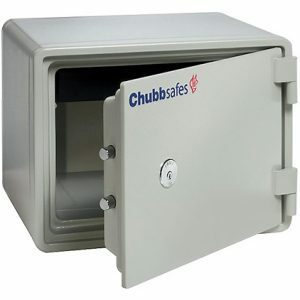 The Chubbsafes Record Protection Cabinet Size 18-2 provides quality document protection using high specification materials. 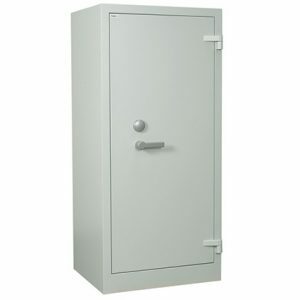 It comes with 2 shelves and 2 keys as standard, but can be further customised with extra shelves, pull-out platforms, filing rails and lockable cupboards.